The Museion collection was started in the early nineties and currently boasts around 4,250 works. The directors who have held the position over the years, making their mark on the collection in terms of purchases and exhibitions, have individually contributed to forging the identity of this distinctive institution. In the early years the focus was mainly on Italian avant-garde artists, also looking to central Europe, with works by Carla Accardi, Afro, Agostino Bonalumi, Günter Brus, Enrico Castellani, Markus Lüpertz, Achille Perilli, Arnulf Rainer, Hans Staudacher and Emilio Vedova, among others. Over the years the museum has developed a specific profile by creating various themed areas in the collection, which is still very much a work in progress, being constantly modified and added to. 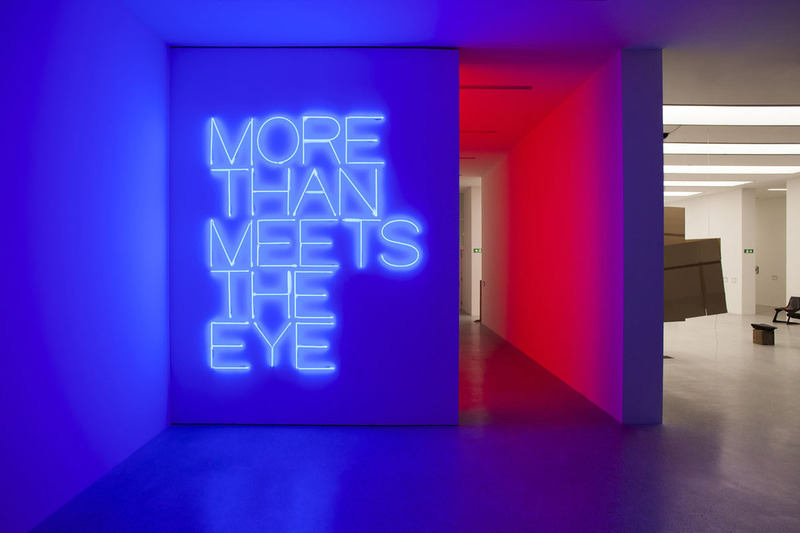 The collection boasts an important group of works of light art, with pieces by historic groups such as Gruppo N and Gruppo Zero, and individual artists like Mario Airò, Alberto Biasi, Otto Piene, Rosemarie Trockel and Cerith Wyn Evans, and an impressive set of artworks that explore the relationship between image and text. This set has been added to over the years, thanks also to the long-term loan of part of the collection entitled “Archivio di Nuova Scrittura” belonging to the collector Paolo Della Grazia, which contains the work of artists connected to the Visual and Concrete Poetry currents, including Augusto and Haroldo De Campos, Arrigo Lora-Totino, Anna and Martino Oberto, Decio Pignatari, Adriano Spatola and Emilio Villa. 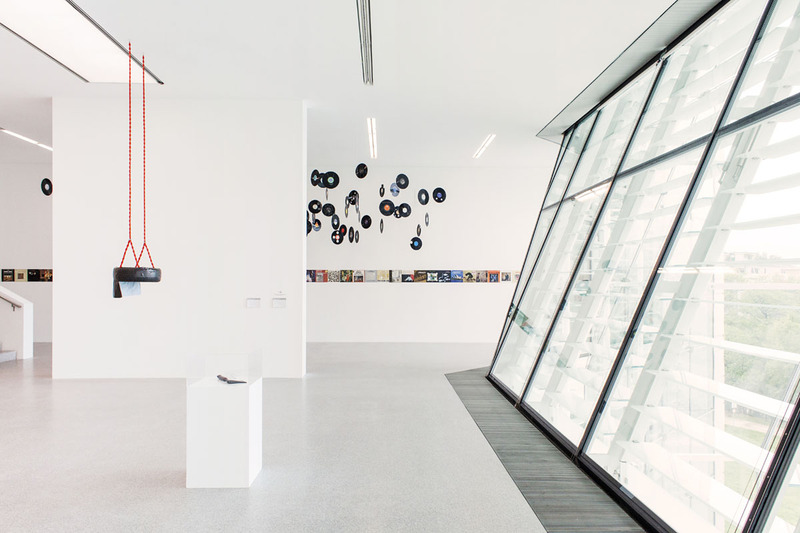 Considerable attention is also devoted to artists who bring a new perspective to historical time by re-interpreting the present – Rossella Biscotti, Deimantas Narkevicius and Simon Starling, for example – and another particular focus regards the work of artists from outside Europe such as Eleanor Antin, Mona Hatoum, Kimsooja, Teresa Margolles, Santu Mofokeng, Zanele Muholi and Walid Raad. Another noteworthy set of works is that of around 100 pieces belonging to the collector Enea Righi, which has been on loan to Museion since 2008, and which in many respects consolidates existing themes in the collection, as in the case of the photographic works by Francis Alÿs, Nan Goldin and Wolfgang Tillmans, or the light art, with Gabriel Kuri, or individual artists like Alighiero Boetti, Miroslaw Balka, Peter Friedl, Roni Horn and Gordon Matta-Clark. With regard to the works purchased following solo exhibitions in the museum, Museion has always sought to achieve a balance between international artists (Carl Andre, Isa Genzken, Raymond Pettibon, Matt Mullican, Danh Vo) and local ones: the project room is indeed devoted to the work of young local artists, and has hosted Vera Comploj, Nicolò DeGiorgis, Gabriela Oberkofler and Sven Sachsalber, among others. In recent years Museion has consciously decided to ‘activate’ its collection by means of themed exhibitions that address different topics in art history and forge new dialogues with existing works, and between older pieces and “new entries”. The new acquisitions are also designed to represent and document the exhibitions held in the museum, in line with an ongoing strategy that is based on openness to the new, and re-viewing the past: the new works that join the collection automatically introduce original ways of seeing and interpreting the older pieces.